Anna came Monday, October 31st!! I was in shock when I discovered my water "had" broke and I needed to go straight over to the hospital. Earlier when I dropped off Avery at school, I bawled my eyes out! I guess I knew that that day could be her last day as an "only" child and I was just worried about how she would handle the change. Also, she was SO excited about going trick or treating, so I wanted to be able to do that, as well. When the nurse told me to head over to the hospital (not really thinking that would be the case), I wanted to jump up and down, because I was about to get to meet Miss Anna for the first time! The excitement of going to the hospital to hold and kiss your sweet baby for the first time is a moment I would relive every day, if I could! I turned 28 weeks last Thursday and definitely ready for the weather to cool off! We are having a girl.....Anna Reese, so not Chloe after all :) we cannot wait to meet her!! she is kicking like crazy. Next Friday, we are having a 3d/4d ultrasound, so we'll get to get a great look at her! I am already ready for next Friday. As for Miss Avery, she is as sweet as ever. I think she is ready for her baby sister to come. I pray that she transitions just fine. We are going to do all we can to make sure she isn't feeling left out. We have a few major to do's left before the big day, so we'll focus on knocking those out before Oct. The time will fly! What's not.... might be a better question! It's almost been a year and a half since my last post. Life has been great and busy busy. My sweetie is about to celebrate her 3rd birthday! I cannot believe I have a three year old. Avery is going to be a big sister! I'm in my 17th week and due 11/3. We will find out mid-June if we are having a little sister or brother! Can't wait! I think we are locked on names either way. Owen if a boy and Chloe if a girl. First of all, I hope everyone had a very Merry Christmas! I can't believe I haven't logged on in over 6 months. I guess you could say I've been busy! :) We have honestly been busy between enjoying Avery, work, indoor soocer, Bible study and the busy weekends. It has been a great year and scary how half of it can go by so quickly right before your eyes. Avery is a little over 18 months and is very ornery. (side note: it took me the last 15 minutes to figure out how to spell "ornery")! Who knew it started with an "o". We just got back from the best Christmas ever!!! I was asked what my favorite gift was this year and it was truly just soaking in all of Avery's reactions to Christmas and the wonderful traditions. To my unbelief, she knew exactly how to rip open a package without question. I think we might be in trouble in the future. On Avery's most recent check up, she measured 33 in tall (85%) and 21 lbs (12%). She is a picky eater, but I really need to start working on making sure all of what she is eating is nutritious. At the 18 month check up, they give you a check list of developmental norms. It was funny, because two of them were "Can you child jump" and "Can your child walk backwards." I had no idea if Avery could do these things, so I asked her in the lobby. She just ignored me, but as soon as she was in the room with Dr. Sharp, she started jumping and walking backwards as if she was showing off in front of the Dr. It was hilarious! Needless to say, Dr. Sharp changed my responses to the questions as I mismarked them. It has literally been over a year, since I have been on vacation and it truly impacts you to go that long without a break! I feel FREE! Kevin and I are already planning on where we'll go this upcoming year. Kevin's birthday is this Friday, Jan 1st! I broke down and bought him a Wii. They've only been out for several years and I think it would be fun to do together. I really just want to get old school Super Mario Bros. I can't wait to play that! I am posting the only recent picture I have on my laptop, but as soon as I get our Christmas pics downloaded, I'll post some. I pray that everyone has a wonderful 2010! I think it is going to be great year! Avery is officially a toddler! The weekend of the 4th, we took Avery off the bottle and she was not crazy about it. She'd go and point to where the bottles "used" to be and would NOT take a sippy cup the first day without some major fits and when she did finally try it out it was not for long. Luckily, the next day or so, Avery started eating like crazy. Before, she never ate and I thought she was just super picky and didn't have a big appetite, but really she was just so full on milk. She is changing into such a kid. Avery LOVES to dance. She'll be playing around and as soon as music comes on, she'll drop what she is doing and start bouncing up and down like she is squating and then fan her arms around. It is too cute! She also loves her soccer ball and baby. We can be anywhere in the house and I will ask her to go get those two things and she'll search them out. She kicks her soccer ball, too! Kevin and I have really had to get serious about discipline, because Avery is a sly little gal. I know she is still in discovery mode, but some things are just not very safe for her. We started putting her in time out, but after a day or so of that, we'd say if she did "blank" then we'd have to put her in time out. So she would just walk over to where time out is and just plop down on the ground. It obviously isn't working! I think tomorrow we are going to go to the Austin Children's Museum, because it is too stinking hot to be outside. I hope Avery has fun; I am sure she will! Well the last two months have been busy, busy, but A LOT of fun! We have celebrated everything under the sun and had cake with every celebration, too :) It is time for my summer dieting to kick in, but we have two more fun weekends to celebrate, so I guess July will kick off that diet! First and foremost, my little sunshine is officially ONE! Yesterday, was her actual birthday which also happens to be my mom's, so we are here in Waco celebrating both. Last weekend, we celebrated Avery's birthday with friends and family and it was SO much fun. Avery definitely had a blast! We also celebrated one of Avery's best friends, Lila's first birthday. Lila is four days older and they have a lot of fun together, but I also get a kick out of watching them hang out. We also went to my cousin's wedding in Austin (Avery's first wedding). It was absolutely beautiful and Avery danced all night. The weekend before that..we celebrated my sister's 30th birthday. 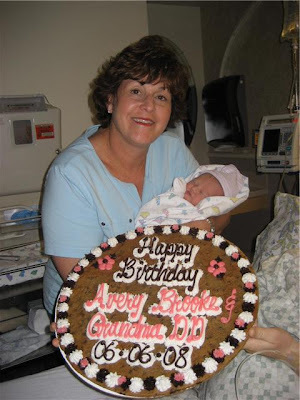 Brooke is such a beautiful girl and I hope it was everything she would want in a 30th birthday. I think it was! Next weekend, we are looking very forward to cousin Reid's 1st birthday (born 4 days after Avery) in Boerne. Then off to Amarillo, for the Aderholt Family Reunion. Kevin and I are looking VERY forward to seeing the Aderholt family!!! 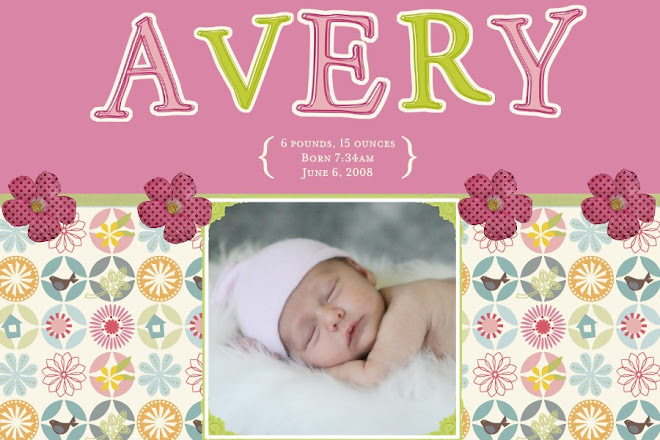 So what's new with Avery? She took her first step at 10 1/2 months and then waited about two weeks to do it again. Once she started, she hasn't stopped. She is pratically running now. It might just be the cutest thing I have ever seen. She also just recently started using sign language. She signs eat, more, and milk. I was so excited that we could finally communicate! Here are some recent pics, but check out my sister's blog (the photographer) :) to see more...the link that says "Tooley" on the right side of my page.